This annual program was established in August 2016. -Accommodation is €350 euros to be paid on first day of program 8/10/19. You can exchange dollars for euros in the US or at the airport upon arrival. Alana Marie Urda is (Co-Founder, Artistic Director) of Amalgamate Dance Company (ADC) where she pursues using dance for a purpose through her choreographic works, documentaries and company events. Urda has envisioned and produced a range of distinguished dance events, charity projects, and educational workshops with ADC. ​Alana is the Producer of Singers Retreat in Italy. 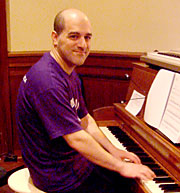 For nearly 20 years, John T. Prestianni has been making a living as a singing teacher, vocal coach, dance accompanist, musical director, and freelance musician in NYC. He currently teaches at Laguardia high school of the performing arts in the dance, drama and vocal departments, YMCA youth programs and adult singing class (YMCA Singers Forum), the Neighborhood Playhouse School of Theater, the Acting Studio and New York University. He's taught many Broadway workshops and master classes, and has Musical Directed shows and cabarets in New York on a freelance basis. John is also a dance accompanist for ballet, modern, jazz and theater dance classes for nearly 25 years in the New York City area. On staff at Laguardia high school for the performing arts, New York City Ballet, Ballet Hispanico, NYU, American Dance Machine of the 21st Century, and many others. Finally, he is a well established freelance club date musician in the NYC area playing for weddings and various private events, specializing in Irish and Greek music. 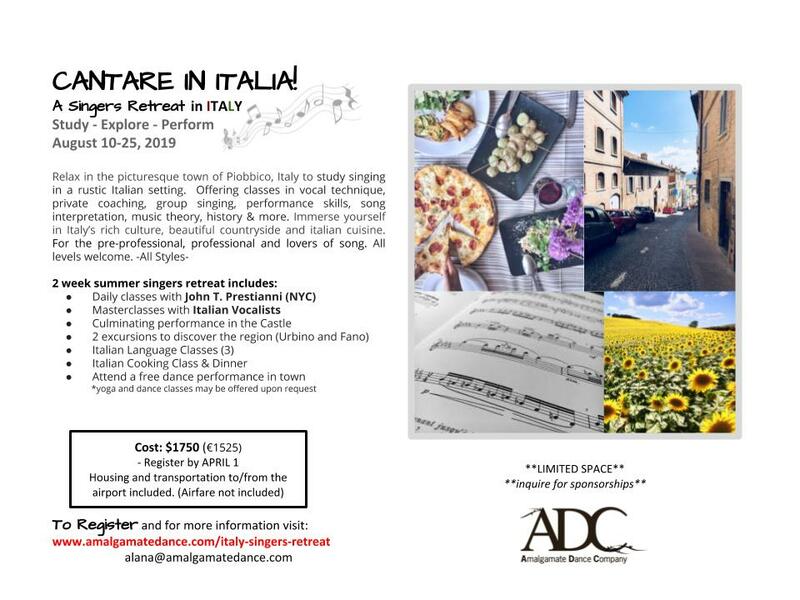 Each instructor is a certified professional with a minimum of a Master's degree in Italian language studies who specializes in teaching Italian to non-native speakers. The language course is a 2 hour class focused on conversation and will help the dancers to socialize with people in town.